It's the newest addition to Respironics home noninvasive ventilator fleet. The compact and lightweight unit is simple to operate offering a straight forward user interface and an integrated heated humidifier for easier set-up and management. 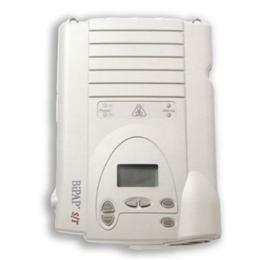 The unit is also the first noninvasive device to combine Respironics' proven BiPAP® technology with SmartCard® for use with Encore® Pro and is rich with features such as Digital Auto-Trak™ Sensitivity, adjustable Rise Time, and integrated alarms.